So first I want to say straight out that I loved Life After Life. It’s a honkin’ big book, and it’s really not my “type” of book, but…it was great. I feel like I have to specifically say that I liked it, because below I’m going to say a whole bunch of things that make it sound like I didn’t like it. But I did! It’s just…the hardest book ever to talk about. If you want to read an excellent, real review of Life After Life, check out what Michelle wrote about it. Me, I’m not that good, so see below for just some random thoughts I had. 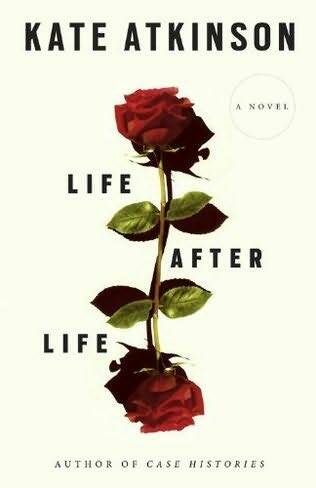 Life After Life is about Ursula, who keeps being born over and over again and playing out her life, with basically no knowledge of the fact that it keeps happening. An interesting thing to note is that unlike, um, every other reincarnation/reliving life/whatever-you-call-this book I’ve ever read, things change and it seems to be random. And interestingly, that’s your only clue sometimes that you’ve now started to read about a new life. For example (because I know that made no sense), you might be reading a chapter about how her pet rabbits were eaten by a fox. Next chapter, it mentions that her rabbits are still alive and well, and BAM! you know you’re suddenly in a new life. So unlike most books about this topic, it doesn’t seem to take human action to change her history…it’s random. Another of the many examples is the night Ursula was born. Some of her lives have the doctor getting there to help save baby Ursula just in the knick of time, some have him being delayed and Ursula dying, or the mother saving Ursula herself. It’s a novel way to handle this topic, in my opinion, although it can get confusing. It took about 115 pages before I stopped being insanely confused (it was when I got to the part about the influenza). Before that it just seemed boring and random. That’s a long time for a book to start getting good, but it got SO good, that I don’t mind. But anyway, 115 pages in was when Ursula started trying to change things. The thing is, that even though I was very into the rest of the book, that coolness of trying to change things never really happened directly again (until the Hitler thing you see in the first chapter). I feel like more could have been done with Ursula trying to perfect her lives, to make things better in each life. And that’s my only real complaint. I was vaguely unsatisfied by the ending. There didn’t seem to be any real resolution, but I had the feeling while reading that there wouldn’t (couldn’t) be, so…yeah. Honestly, this is an exceptionally crap review, even by my standards so, I just have to urge you to read Life After Life for yourself. 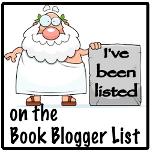 This entry was posted in 2 Dorks 1 Book, book club reads, Fantasy, Fiction and tagged 2 Dorks 1 Book, ARC, book club, confusing as hell, fiction, Kate Atkinson, Life After Life, reincarnation. Bookmark the permalink.